Happy Spring! Today is the Spring Equinox, and to me that means the joyous return of life in this great yearly cycle we all live through. Today I feel especially hopeful because it’s been a heck of a weekend- Daphne has been sick, like 104.7 fever and a trip to the ER sick- and all while Micah was out of town. He’s home now, and though he seriously hurt his foot on his weekend adventure with the guys, it appears NOT to be broken. Good gracious. Thanks to my mom, my mother in-law, my sister in-law and of course the doctors and nurses that took such good care of my baby- diagnosis strep… antibiotics and rest. Fair enough- done- plus one more Good Gracious! This morning the girls and I NEEDED a splash of happy, so we made a wreath. I feel the need to point out that I don’t really consider myself a “wreath person” though for some reason, lately… I am. 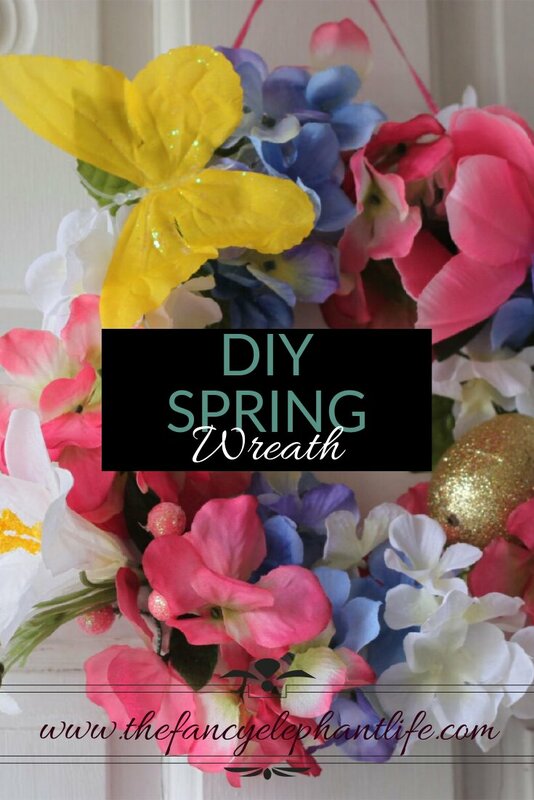 The other day we picked up some very cheerful fake flowers, butterflies and eggs- with a wreath and other projects in mind- so I got them out, along with a sturdy paper plate, a hole punch, some ribbon and a hot glue gun. After cutting the center of the plate out and plugging in the glue gun, Daphne and I went to work on taking some of the flower bouquets apart. Next we glued the flowers around the plate rim, adding butterflies and of course a golden glitter egg, because- why not? A couple of holes punched through the plate, some pretty ribbon to hang and ba-da bing- SPRING WREATH! Our white front door has been given a brand new look and the girls and I had a fun little project for the morning. Now, back to lazing on the couch with Sarah and Duck (one of our favorite kid’s shows of all time) and monitoring fever temps and fluid intake. Here’s hoping you and yours are healthy, happy and inspired by the beautiful change of season!